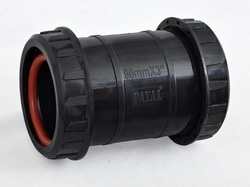 We are a leading Manufacturer of hose connectors and pp drip venturi from Ahmedabad, India. Being a client-centric organization, we are engaged in manufacturing and supplying a wide range of Hose Connectors. Our range is manufactured using optimum grade raw-material, which in accordance international quality parameters. In order to meet the variegated requirements of our customers, we are offering this range in various specifications. Furthermore, all the products are stringently examined before being dispatched to the market. We are committed to providing a broad gamut of PP Drip Venturi that is highly demanded in the market owing to its design and cost-effectiveness. Our offerings are fabricated using the supreme quality raw material with the support of innovative technologies to ensure that our end product meets international standards. 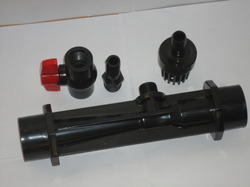 These PP Drip Venturi are easy to install.